My 6-year old granddaughter’s observation seemed so obvious and true. 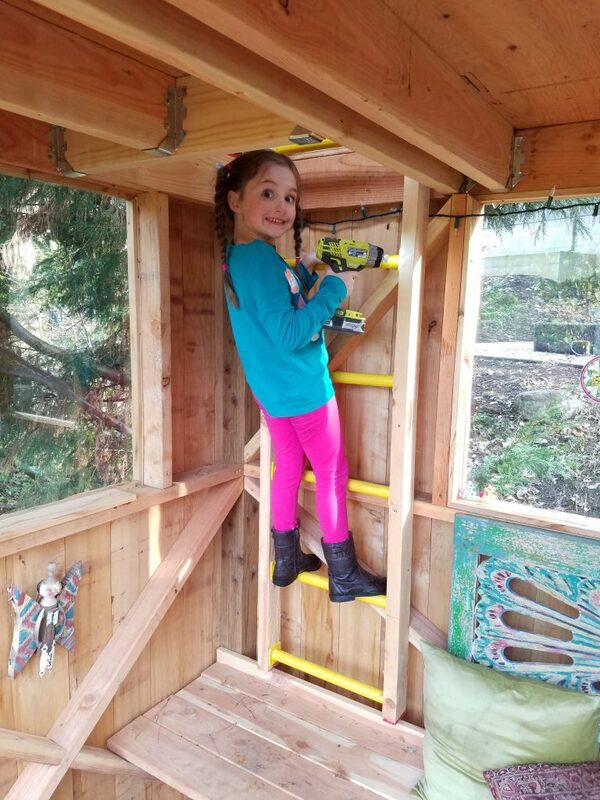 We had spent the afternoon together, building a ladder for her new treehouse. We used a tape measure and her budding math skills to determine where the rungs would go. We used a saw to cut them. We used a screwdriver and drill to put the ladder together. 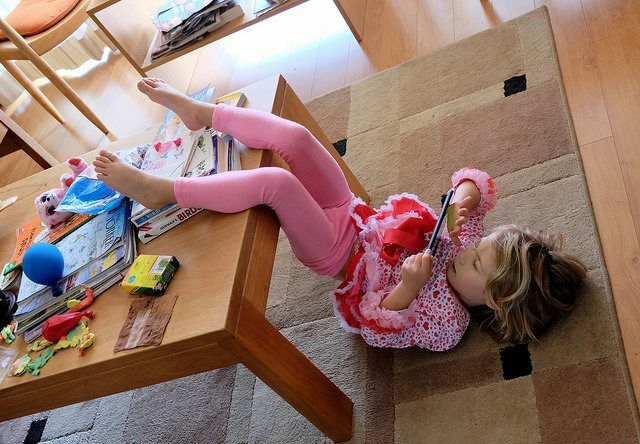 As I can attest, tablets are really good babysitters. Kids often seem entranced by them – literally. But they also know the difference between virtual and real. Give them the chance, and they’ll show you that they would rather actively engage with a loving adult than be handed off to an electronic device. This points to perhaps the most fundamental issue with technology. 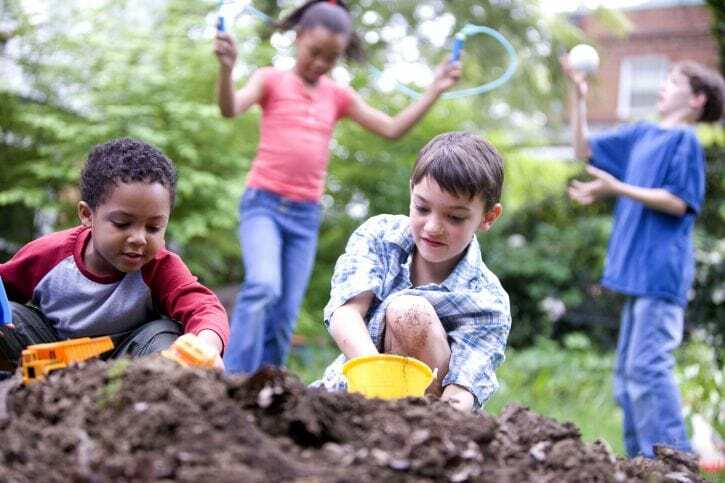 When uncontrolled, it can steal too much from what children need to grow into physically and emotionally healthy adults: time in nature, play and other physical activity, quality face time with family and friends. Do the New AAP Media Guidelines Give In? 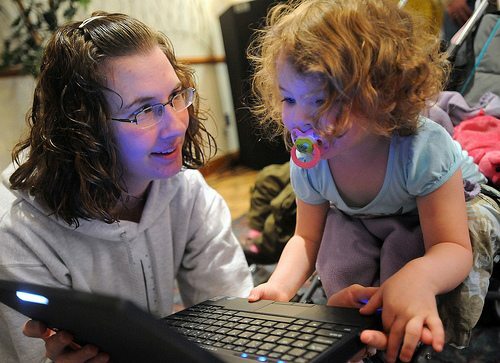 Instead of recommending outright bans on screens, it directs doctors to ask parents about ‘family media use,’ to help families develop plans for using media with different guidelines for each child, and to educate parents on the importance of ‘hands-on, unstructured, and social play.’ It allows for video chatting no matter what a child’s age, citing new studies on how the use of FaceTime and Skype with distant relatives can benefit children. And indeed, there has been some intriguing research suggesting some benefit to interactive media, even for the youngest kids. Yet not all pediatricians are jumping on that bandwagon. Of course, it’s ultimately our responsibility to manage the screen time of our children or those entrusted to our care – to set limits; to decide how much and what kind of media is permitted and when; to ensure electronic devices don’t detract from our kids’ developmental needs. Multiple developmental and health concerns continue to exist for young children using all forms of digital media to excess. Evidence is sufficient to recommend time limitations on digital media use for children 2 to 5 years to no more than 1 hour per day to allow children ample time to engage in other activities important to their health and development and to establish media viewing habits associated with lower risk of obesity later in life. In addition, encouraging parents to change to educational and prosocial content and engage with their children around technology will allow children to reap the most benefit from what they view. As digital technologies become more ubiquitous, pediatric providers must guide parents not only on the duration and content of media their child uses, but also on (1) creating unplugged spaces and times in their homes, because devices can now be taken anywhere; (2) the ability of new technologies to be used in social and creative ways; and (3) the importance of not displacing sleep, exercise, play, reading aloud, and social interactions. Even full of all the electronic toys imaginable, the insides of houses can pale in comparison to the adventures that await outdoors. And we don’t have to worry about entertaining kids when outside. Or cleaning up after them as much. Or them breaking things. Now, one of Anna’s and my favorite things to do is to “camp out” overnight in our new treehouse, listening to the crickets and night animals, and looking up at the stars through the translucent roof as I read her favorite bedtime story aloud by our headlights. Having helped build together is an accomplishment that she is proud of and a shared memory that neither of us will forget. How Do You Manage Screen Time When Media Has Become “Just Another Environment”? Who’s Raising Our Kids? 10 Tips for Parenting in an Online World Less Screen-Time = Healthier Kids & More Family Fun! 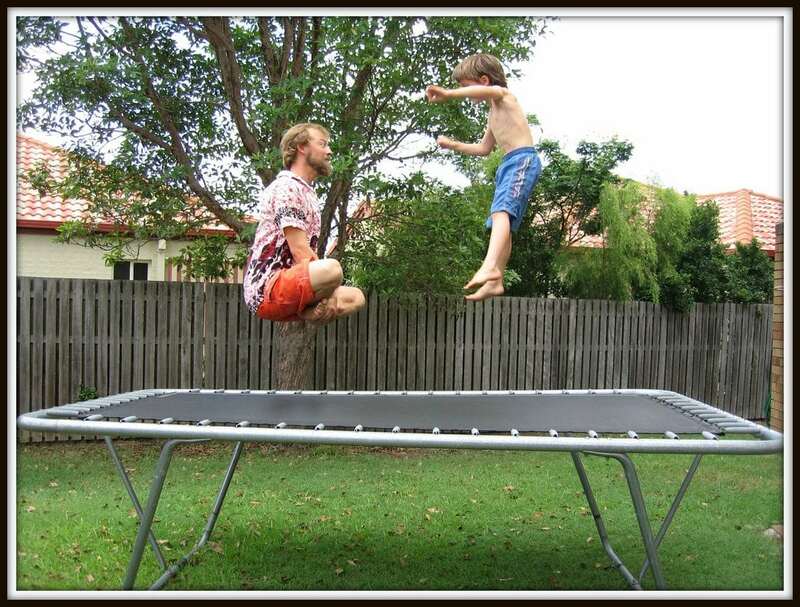 Structured Time vs. Free Time for Play – Why Not Both?